Reading of extracts of a young girl’s diary between 1914 and 1918. ‘Oral History’ is an important method to get to know, what you don’t find in documents, newspapers or other historic sources. This is true above all for those people, who have not reached official honour: the so called ‘ordinary people’. And it even more applies to women. They are usually forgotten – even in alternative historiography. Therefore interviews and the analysis of interviews were used, to give a voice to those, who otherwise were usually not heard in the history of antifascist resistance during the NS-time: social-democratic, socialist and communist women, who did important work, but were not seen or heard much. With the theoretical und practical concept of gender-based division of labour the significance of women could be shown. Without them resistance in the NS-time would not have been possible. 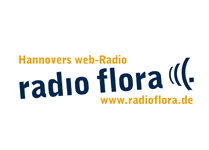 In the radio-flora-show “Magazin International” from May 25th of 2015 was broadcasted the reading of parts of Brunhild Müller-Reiß’s investigation about antifascist women in Hannover. The programme ends with the italian antifascist song “Bella Ciao”. The Continental-Rubber-Company was founded in 1871 with its headquarters in Hannover and it took over of the plant of the Excelsior Pneumatik-Company in Limmer in 1928. From June 1944 to the beginning of April 1945, an external camp of the main concentration camp of Neuengamme existed on the grounds of this Continental Rubber Factory. More than 1000 women were interned there, most polish and french prisoners, captured by the Germans as activists of the french resistance or survivers of the uprising of Warsaw in 1944, but also women from Belgium, Luxemburg, USSR and Spain. They had to do hard labour in the factory. This radio broadcast is dedicated to the women detained and maltreated in the concentration camp on the ground of the Continental Rubber Company, remembering their torments, but also their struggles and survival strategies. Past and presence of a German war crime. On April 26 1937 during the Spanish civil war the Basque town Guernica was almost completely destroyed by the Legion Condor of the German air force. This crime against the civilian population of this undefended town was followed by international outrage. Under the impression of this elimination Pablo Picasso created his probably most well-known painting „Guernica“. Until today this has turned Guernica into a Symbol for fascist terror and the horror of airborne war. Some of the perpetrators who supported the military coup against the elected republican government in Spain had been trained at the air bases of Langenhagen, Wunstorf, and Delmenhorst. About 70 percent of Legion Condor’s bomber and intelligence units were from Wunstorf. In this feature the history and military consequences of the destruction of Guernica are reconstructed. It is also about the longtime cover-up of a war crime by Germany. 100 years ago World War One started. The historian George F. Kennan called it „the great seminal catastrophe of the 20th century”. The preparations had been started many years before the beginning of the war. Germany bore great responsibility for this first industrialized war, in which the entire population was involved. In the broadcast the author seeks to shed light on the reasons for World War One and the present discussion about the responsibility of the German elite for this war. The broadcast also deals with the Hanoverian hero worship for Otto von Emmich, a German general who was responsible for monstrous crimes against Belgian civilians in the very first days of war.